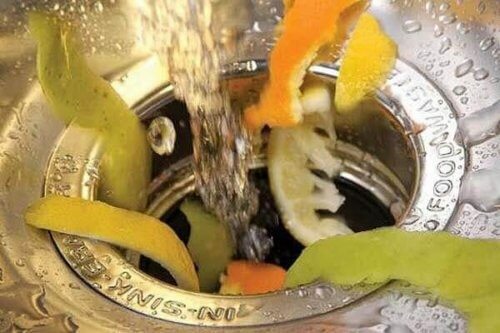 Tired of your old, noisy garbage disposal and looking for a replacement? While it seems that garbage disposals are all the same, there are some key features and functions that are different. They impact how the machine works and how much it costs. To pick the right disposer, you need to consider how much food waste you have on a regular basis, safety concerns, as well as noise level that you can tolerate. Check out our guide to the 7 most essential features and differences you will find among garbage disposers along with our recommendations for a machine in each class. You will notice that the majority of the models we recommend are either made by WasteKing or InSincErator. This is because these brands exclusively make garbage disposers, offer top notch quality, durability and efficiency. Other brands to consider are Kitchen Aid, Whirlpool and GE (General Electric). Continuous Feed: the machine runs from the moment you turn it on, to the moment you turn it off. You don’t need to wait until the chamber is full to run it, which makes it quicker to grind all waste if you have a lot of it. These models are ideal for large households that do a lot of cooking. They are more popular and less expensive than batch feed models. The biggest downside to a continuous feed model is accidentally dropping a foreign object while the machine is on. It can damage the disposal before you are able to stop it. Also, it is very important to watch that small children do not stick their hands in there by accident, while the disposal is on. Another potential downside is that its recommended to keep cold water running while this type of a disposal is working. This means that you will need to pay more for your water usage. Batch Feed: you need to load the waste into the disposal until it is full. At that point, you will turn down the stopper or cover and start the disposal. These models are great for households that don’t make a lot of food waste at once. They are also a lot safer, as foreign objects can not fall into the chamber. This features also prevents accidental jamming. Batch feed garbage disposals are more expensive than continuous feed ones. 1/3rd Horsepower – This is the lowest level of horsepower available. It is intended to grind primarily soft wood waste and has a tendency to clog. These models are usually the least expensive and are best suited for 1-2 person households, who do not frequently use the disposal. 1/2 Horsepower – These models are a little more powerful, they are still intended for fairly low usage (2-3 person households). They also have a high risk of clogging, especially if loaded with harder types of waste (bones for example). We suggest purchasing a machine that has stainless steel grinding components, to ensure efficiency and longevity. 3/4th Horsepower – These models are most popular and suite the needs of the majority of families, as they are intended to service 4-5 person households. garbage disposal model is ideal for households of 4-5 people. Unlike the lower powered models, these machines are less noisy and many come equipped with stainless steel grinding components. Consider this top rated and reasonably priced InSinkErator Badger 5XP 3/4 HP. 1 Horsepower – These are the most powerful disposers, ideal if you have a large family and produce a lot of waste on a regular basis. It can easily handle bones and other tough waste without clogging. We strongly recommend these models if you can afford them. They offer the highest level of efficiency and usually last longer than cheaper, less powerful machines. Different machines offer a different number of grind stages. The more stages there are, the finer waste particles the food will be ground in to before it goes down into the sewage system or your septic tank. Naturally, the more grind stages the better, especially for people who have homes with septic systems. If your septic gets clogged as a result of a poorly functioning garbage disposal, you are looking at at least $15-20K in replacement costs for a new septic system. Ouch! It is important to realize that if you have a septic system and want to install a garbage disposal, there are significantly fewer models to choose from. You need a machine that will not create major problems, such as septic tank overflow. In particular, look for models that have a special liquid enzyme treatment. This enzyme helps break down the food waste into very fine particles. One highly rated and popular garbage disposal that works well with septic systems is InSinkErator Evolution Septic Assist. Also, contact your town hall inspector and make sure that the town allows homeowners to install a garbage disposal. Some towns don’t allow them at all!. 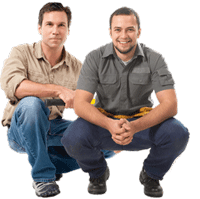 In general, you will find that more expensive, more powerful garbage disposals offer the quietest operation. Some higher-end models make barely any noise. However, it is not possible to install a garbage disposal that will not make ANY noise. It is also important to keep in mind that the noise level may also depend on the design and material of your sink. To ensure a quiet operation, select a machine that has a nylon, insulated grinding chamber. You will find that many of the more expensive 3/4 HP or 1 HP models also have anti-jam or auto-reverse features. They will either increase torque to grind through tough food, or turn in the other direction when there is extra friction. Some models even have a blade oscillating feature, which further helps clear out the waste that has been stuck. These extra features keep the machine to operate more efficiently, and ensure it works without clogging or breaking. If you want your machine to last, it is best to invest more money and get one that has all STAINLESS STEEL components. Usually, cheaper models with lower horse power rating will not have stainless steel internals, because they are budget friendly. However, this means that these components will eventually rust and you will need to buy a new garbage disposal. With stainless steel, you will not have this problem, ever. To have the durability of stainless steel, consider investing into Waste King 9980 Legend Series 1 HP Continuous Feed Operation Garbage Disposer . This model features a Lifetime Corrosion Free Warranty. When evaluating different garbage disposals, carefully read the warranties offered. They are NOT all the same. Currently, ALL disposals made by WasteKing offer the best, most comprehensive warranties. In fact, they are worth paying a little more for. For example, WasteKing will replace your garbage disposal free of charge in case it fails due to a material or mechanical defect during the purchase’s lifetime. Another awesome warranty is by InSinkErator (applies to the machines in the Evolution Series): comprehensive 7 year parts and labor warranty (you get a free replacement).